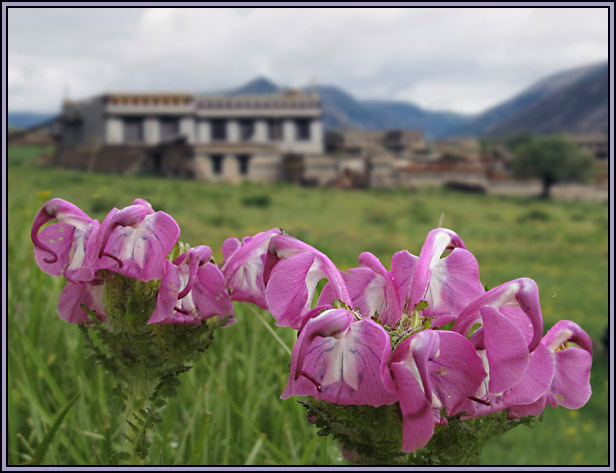 I am always tempted when I receive seed lists to try the seeds of plants that I have seen growing in the wild, although perhaps being over optimistic in expecting plants that grow at over 3000 metres in Sichuan to adapt to Northern Ireland! However a few years ago at the SRCG weekend I bought a small plant simply labelled Pedicularis sp. 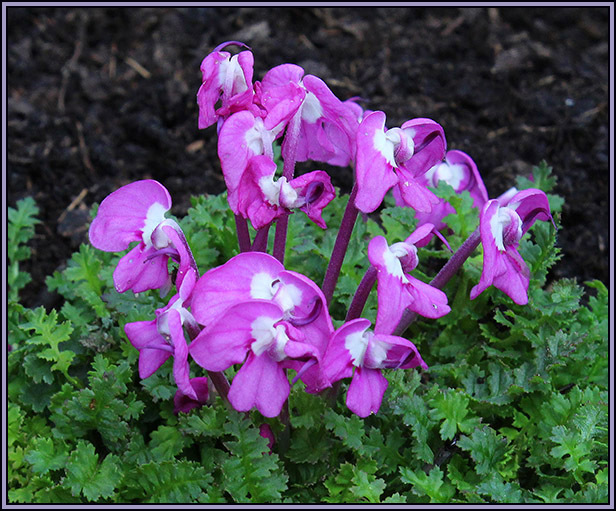 which I planted in a raised bed and it has reappeared late every spring since producing rather straggly pink flowers in summer but no seedlings so far. 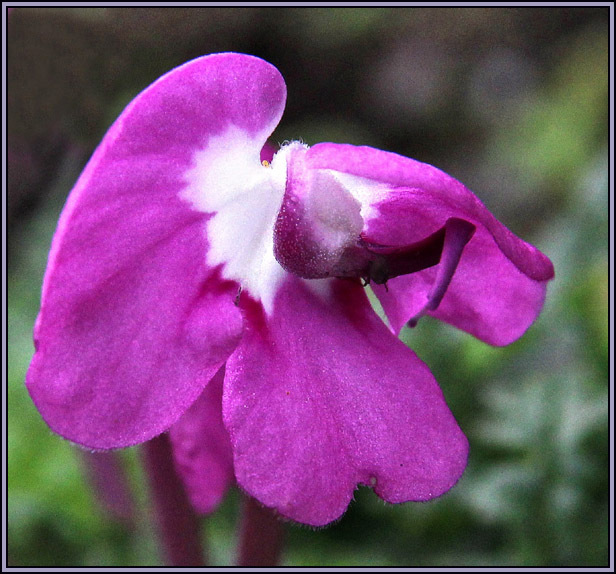 So when I saw Pedicularis rhinanthoides listed on Votjech Holubec’s 2015/16 seed list I promptly ordered some seed. The seed, collected from TienBaoShan, Yunnan, China at 3500 metres,2014, was sown in the usual seed compost at the beginning of January 2016 and I noted that it had germinated but unfortunately not the date or number. This resulted in one plant transferred outside to a raised bed in the summer. It survived our mild winter making a compact leafy mound, approx.. 15 -20 cms across and stayed in leaf unlike the ‘Scottish’ variety. Much to my surprise I found it in flower as shown in the photograph on the 25th April this year, with 6 to 7 pink and white flowers several cm high and there are more small pink buds hidden in the foliage. This plant is more compact than I remember it in the wild. Whether it will survive or increase over the coming seasons in N. Ireland remains to be seen - I do hope so as it reminds me of a wonderful botanical holiday spent in Yunnan and Sichuan under the expert guidance of Chris Gardiner.